College Recruiter is currently focusing on employee resource groups (ERGs), publishing the opinions of experts based on a series of questions. In today’s article, Abby Kowalewitz, Brand Strategist at Allen & Gerritsen, highlights a new initiative focused on leadership and empowerment for women. 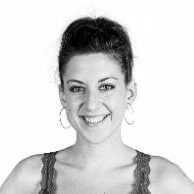 Abby Kowalewitz is a Brand Strategist at Allen & Gerritsen. She is also the ambassador for Allen & Gerritsen’s internal Women’s Leadership and Empowerment program, Boss Ladies.